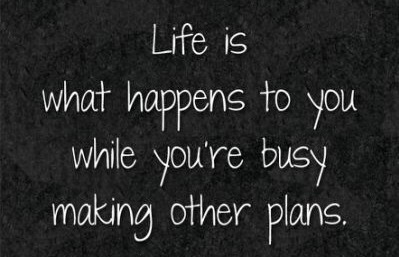 You’ve probably heard the quote from John Lennon that life is what happens when you’re busy making other plans. So if life is what happens while you’re doing the little things, why not make the little things align with the life you want? 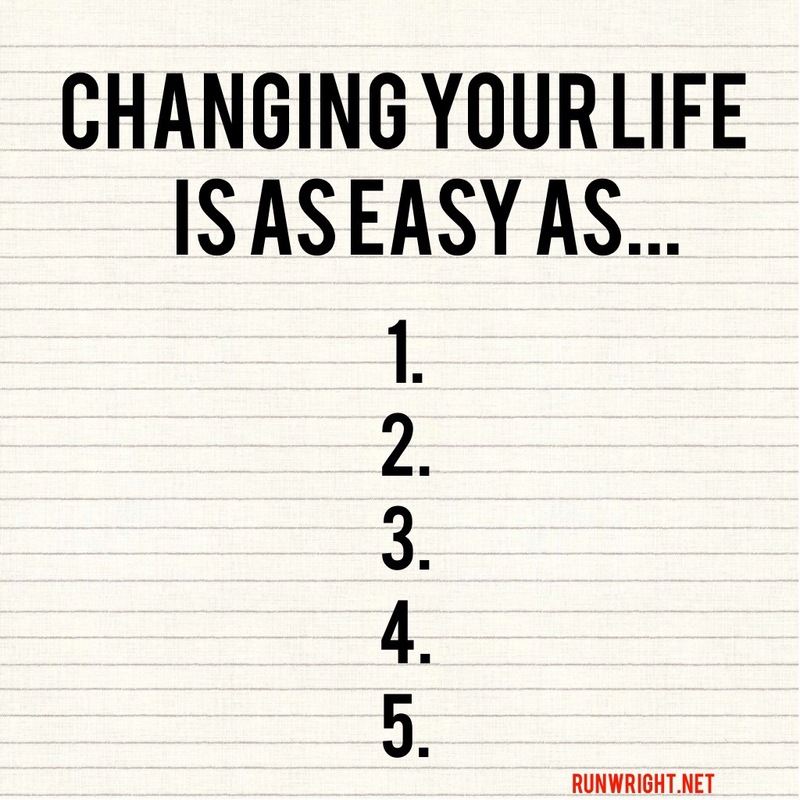 Here’s are 5 little things you can do today that will change your life. 1. Dance. Pick a song. Any song. Well, any fast paced song. And dance to it. The whole way through. Do the funniest reggae dance, or house-party dance or chubby-checker-and-the-twist dance, or whatever you can manage dance. Get your body moving and commit to finishing the song so you’ll know you’re in it for at least a few minutes. Do it in your room, in the bathroom on your break, in the closet while you’re picking out your clothes for today or tomorrow. Dance for 5 minutes. It will get your heart rate up, it will lift your mood and the more you dance, the more limber your body gets as your muscles start doing things they haven’t done in a long time – over time, you’ll start dancing better too. 2. Eat a salad. Not a Cobb salad with extra boiled eggs and bacon and half a cup of ranch dressing. Not a Caesar salad, extra Parmesan, light on the romaine lettuce, heavy on the anchovies. And not that “cocoa is a plant and chocolate comes from cocoa so chocolate is basically a salad” nonsense either. Just salad. Just green and red and orange and yellow and purple vegetables. Cut them up, put them in a bowl, spritz a little vinaigrette if you must, and eat it. One salad, once a day. And you don’t have to worry about it again until tomorrow. 3. Thank someone. Take a sheet of paper, or one of those pretty cards you’ve had in your desk for eons, and think about someone who is celebrating something, or someone who did something nice for you that you could thank, or someone you’d like to encourage. And write a few sentences that say what you’re thinking. Put the note in an envelope, put a stamp on it, drop it in the mailbox. Done. You never know how you could change someone’s life. 5. Write down 3 things you’re grateful for. Think about your day. Thank God for taking you this far through the day and write down 3 specific things you’re happy went the way they did. Now those weren’t hard, right? Do you think you could do them again tomorrow? This is so true, you have to be willing to just move forward and take the first step. You know, I haven’t danced in years… you may just inspire me. Salads I love, the green ones. I will be back to visit with you again. This is a great blog. Karen, I’m too out of shape to dance now, used to when I was younger. Now I like to walk. As for music anything my kids are listening to (teens) but I gravitate towards Classical lately. It helps me focus when I’m blogging. Loooooooove this post! Every word is so true! Good thoughts! Need to come back and read this next time I’m feeling stuck / discouraged. I love your approach, Run. We tend to make things more complicated than they really are. One step a time is a much more productivity way to start implementing significant changes in our lifestyle. Thanks for sharing this great post on #tiptuesday. These are lovely small changes! I’m a huge advocate of the ‘Lifestyle Change’ as the only sustainable way to lose weight, maintain weight, be healthy- whatever. But it’s just a series of small changes that add up to the big ones! I always try to incorporate salad, kale or other greens into my meals. Even if I’m having eggs for dinner, I’ll stick some steamed veg or kale on the side. It just helps! It does. As John Maxwell said in the course I took last week, you don’t have to do everything – just do something. The small changes add up.